Alex hails from a long successful line of entrepreneurs. His grandfather founded an architecture firm where he was first introduced to the intersection of business and computer technology. At a young age I would go to the office and learn how to computerize the business; I got the taste for technology early on. [Seeing] my dad run the business injected the entrepreneurial spirit into my blood. This focus on technology and business followed Alex into his early academic career with some exciting projects. The iWatch and Google Glass may seem like novel inventions, but Alex saw them coming back in 1999. At the age of 18 he worked with a group of high school students on a grant funded technology project to create a wearable computer. This vanguard project captured much attention by media industry professionals and eventually the national press as featured on the Today Show. With a degree in computer engineering, Alex pursued his career and passion for technology. While working for a startup in 2008, Alex recounts a story that many can sympathize with from that year. I was at a meeting out in San Francisco with a pretty large client, and during lunch I got a call from my boss saying half the company was gone, including me. Alex already had the Commercial Progression LLC secured for doing side work. With this shift, it was time to focus wholly on developing the business. I did two things. I set up meetings with people who I knew could do really good work. And I set up meetings with people that had really difficult problems to solve. In three or four weeks I had my first few clients with several contractors working on their projects. We were off and running! Already familiar with the world of open source software development, Alex soon discovered Drupal as a highly capable tool for building websites. As I started to learn more about the problems that my clients were facing, the answer kept relating to this technology called Drupal. 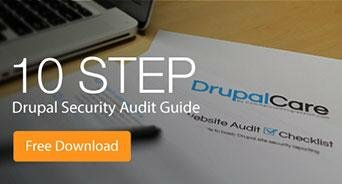 In my investigations, I learned that Drupal was a platform for creating custom solutions to website development problems. By focusing on Drupal, Alex was able to build a niche collection of highly sought after expertise in the open source web development space. This approach of doing one thing and doing it better than anyone else was a key to the early successes of Commercial Progression. To be competitive I decided to focus on just Drupal and make sure I could deliver a world class product for my clients and differentiate on quality. Drupal is an extremely capable web platform that powers such high profile websites as whitehouse.gov and economist.com. Commercial Progression soon joined the prestigious portfolio ranks of Drupal by finishing projects for TRW Automotive and the University of Michigan. Alex soon found himself at a crossroads; with his business growing, he chose to leave the solitary freelance life behind and took the risk of hiring his first employees. Commercial Progression was now a staffed business. It was a conscious choice to build a business. I felt that I could build the best Drupal sites with a team approach where the whole is more valuable than the individual. The diversity of opinion in a team builds a much better product than just one person doing everything themselves. Creating a healthy work culture is important. Alex has focused on creating a positive work environment as he built Commercial Progression. Its hard to find developers that are experienced, and are the right fit for the company and culture. It comes down to relationships and personal fit into the culture. All of our employees are physically present here in Michigan. As new employees come to our company they help to create the culture. [For example] one of our latest employees, Brad, brought us Crockpot Thursdays. Employees and cash flow are truly important to running a successful business. We learned a lot about competing priorities between investors and clients and having too many cooks in the kitchen. Starting a business in a recession forced us to be very lean and focused on being profitable from the beginning. On May 7th Commercial Progression celebrated their 5th year anniversary and the grand opening of their first office in downtown Northville. This success was built with a people centered, team approach to running a web development firm. Most of our team is with each other more than we are with our families. It is really important that we don’t waste that time. Money is replaceable but time is not. We don't pull 80 hour work weeks and all nighters; it is really important that what we do is sustainable. I am really proud of the team. It’s above just me or a single client. Having a team that I am proud of is our greatest success thus far. I believe a team [like ours] is a really hard thing to build, but with the right [people] you can do anything. Alex would offer the following advice from the trenches of starting his own business. Follow your passion, don't do something just for the money. Follow through is very important. If you just follow the trends because everyone else is doing it, you will not have true success. Find the problems that you truly want to solve and then follow through with those until you do. The complete interview with Alex is available online here. A follow up interview from October 2014 is now available at Michigan Entrepreneur.